Fresno, California’s fifth-most-populous city, defies many stereotypes we may have of the Golden State. Be honest: When you think of California, do you picture beaches, Silicon Valley, or Hollywood? Think again. Fresno, with 520,000 people living more than two hours away from the coast, is neither an entertainment capital like Los Angeles nor a biotech corridor like San Diego nor a tech hub like San Jose or San Francisco. Nor is Fresno wealthy; its median household income, at just above $41,500, is roughly half that of its Silicon Valley cousins. But Fresno is at the heart of a nearly million-person, rapidly growing, majority Latinx community, located in one of our nation’s most productive agricultural regions, the San Joaquin Valley. And Fresno has also often been a site of innovation in nonprofit-led community building. Two recent articles in Next City highlight some of the latest developments. One involves the use of participatory budgeting—a process that enables residents to co-develop proposals and ultimately vote on the allocation of public resources to meet community needs—while the other involves an ambitious plan to create a Food Commons of linked community-based businesses. Currently, Anderson reports, workers at Food Commons Fresno make above California’s minimum wage of $10.50 per hour, with farm laborers starting at $12 per hour and packers at $11. 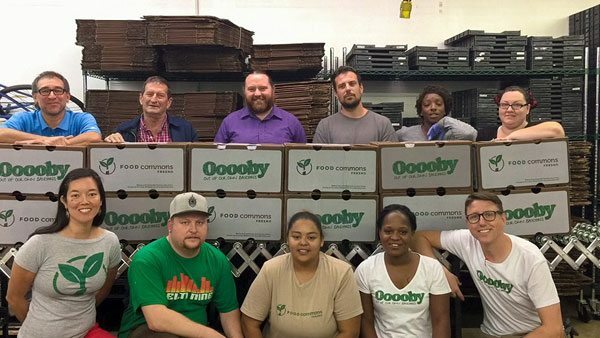 Over time, organizers hope to raise wages and add an employee stock ownership plan that gives employees a direct ownership stake. Organizers also envision using a direct public offering to allow community residents to invest and gain an ownership stake as well. To run its community-supported agriculture (CSA) program, Food Commons Fresno “works with about 10 farms year-round and up to 40 others on a seasonal or one-time basis. Food Commons also works with suppliers to add non-produce products like coffee beans, olive oil, bread and chocolate to boxes. It also purchases goods like fruit jams and tomato sauces from the food production program at California State University, Fresno.” Buyers of Food Commons products includes local anchor institutions—such as the University of California, Merced, and Community Regional Medical Center—as well as local restaurants and nonprofits. There’s communities and things that have been left behind in how agriculture has evolved and how our food system has evolved, and we’re trying to go back to those neighborhoods that were left behind and find a way where they can prosper as well.